Buzz Bubble gum was made for the Jewish Holiday .Well at lease that was my understanding. 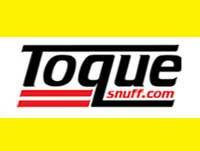 Roderick has mentioned a few times he has a few Jewish customers that LOVE Toque Cheese and Bacon. the question is if the cheese and bacon is kosher. Cheese and Bacon is fine, if you bury the tin when it's empty. I like this name of the pipe "For example, Shivhei Habesht,  the legendary biography of the Baal Shem Tov, refers to the famous lulke  which the founder of the hasidic movement used to smoke." Very interesting, I'll have to try that Buzz Bubblegum, even if it's on Saturday! @basement_shaman Why do you think that "Buzz" was made for a Jewish holiday ? It says on the tin "Smelling Tobacco" in Hebrew, but there is no connection between bubble gum and any Jewish holidays. What I have noticed is that frum ( religious ) Israelis like bubble gum "Bazooka" flavor, but I can't stand it. Here there is lots of cheap, Takbik ( snuff ). Comes in little plastic containers mostly super sweet flavors like banana and bazooka. Jerusalemites like more of the medicated snuffs. But this is only Charadim ( Ultra-Ortodox, like me ). The non-religious have no idea what it is. I had a friend yesterday ask me if non-jews even know what Tabik ( snuff ) is. There is a song that we sing after the holiday of Simchas Torah, that talks about who we are, one of the lines loosely translates to "We are snuff users". That should be the "Rebbe" not "Rabbi"
Is that tin of Buzz especially labeled for sale in Israel? @yisraeldov, thats interesting about Tabik. Is it used by many in Israel? Or is it something only old men do? Are its origins European? Snuff seems to be used by many different cultures, and it has different origins in different places. For example, I have often wondered if the Indian snuff market was started by the British, or if has indigenous history. Fascinating subject! That line from the song, "We are snuff users", is that an ancient Hebrew song? Very interesting. @mrmanos The song is a Yiddish song, I think it's origin is from Belarus, but it could have been later in Tiberius. What I have noticed is that the biggest snuff users are Chasidim, and more the ones of Russian origin. I know there are discussions about smelling snuff in jewish law books from hundreds of years ago, so it is defiantly not a modern thing. Like I said before, the non-religious don't know what snuff is. I think the jews from more Eastern backgrounds use snuff in place of cigarettes on shabbos, but I think that might be something they picked up from Askanazim. I have never heard of women using it, but that doesn't mean they don't. I think that most people who use snuff use it once a week on shabbos, in shul ( synagogue ). I have a few communal tins that I bring. It defiantly has a religious significance. @yisraeldov That is what Dave Anderson told me. I know its off point though I have to say Rabbi's look so cool, when ever I see Rabbi's you just know they are wise men that have established themselves. I dont know what all the technical or official terms are though I think its the hat, beard and robe that give me this impression. @Aamon, they aren't ponny tails. Search google for "Peyos". I guess you would think I look "so cool" as well, I'm no Rabbi and definitely not a Rebbe, but our whole community wears similar hats and long coats ( not a robe ), and beards. @basement_shaman , There are 3 major Jewish holidays, many fast days, and many minor holidays, so "the jewish holiday," is rather meaningless. @yisraeldov I love Judaism and would probably convert if I wasn't so terrible at learning a second language. The esoteric side of Judaism really fascinates me I probably have around 30 books regarding the Kabbalah. I love the complexity and sheer beauty of all of it. I can confirm that BUZZ was made specifically for Jewish holidays. But there is more to the story. My wife used to be a flight attendant on private jets. Back in 2011 she did a trip for one of the head rabbis down in NYC, plus 12 or so of his peeps. They were on some sort of charity mission to Tel Aviv then on to Tbilisi in Georgia. During the flight she got talking to one of the guys who runs a very successful Jewish news website (over a million subscribers). He had some snuff which, by remarkable coincidence, he had bought from mrsnuff.com. Of course my wife was like, no kidding that's my husband's website! They both got all excited and he suggested making a private label snuff specifically for the Jewish community. According to him, bubblegum flavor is popular in Israel. You will notice if you look carefully that there is a little airplane pulling the BUZZ banner. That is a nod to the fact that the idea was hatched on a private jet halfway across the atlantic. I can confirm that bubblegum flavor, Bazooka, is popular here. But I can't stand it, even when someone opens a tin ( actually Israel snuff comes in those plastic tins ), it stinks up the whole place, IMO. I think you mean it was made specifically for Israeli Jewish Community, not necessarily for Jewish holidays. The problem you are going to have is that most of the people who would buy the Bazooka snuff, don't have internet access, so they can't access your website. I'm curious how many of the people who bought it were your initial target audience. you are right of course, it was initially made for the Jewish community, with, in particular, the high holidays in mind. My apologies, I should have been more specific given your response above. I am not sure how much of it goes to the initial target audience. It appears, in the USA at least, the the large NY community prefers highly mentholated snuffs such as JH Wilson Medicated 99 and Hedges. We see large orders for those come through right before Yom Kippur, Rosh Hashanna, Purim, Passover and Simchat Torah. We have several rabbis who buy in bulk quantities for their congregation. Do you see many orders to Israel at all ? I have been ordering for my neighborhood and it always seems that people want the opposite of what I ordered. If I ordered lots of medicated, people request sweet. If I order sweet people want medicated. One thing is that it needs to have a strong smell. In my next order I will put some Buzz in, I'm sure someone will want it. BTW, you must do track and sign if you are going to ship to Israel, the post service here is just awful, I can give you more details if you want, but I ordered from you and you didn't send track and sign and it took almost a month to get here. I ordered from snuff.me ( after I ordered from you ) and it got to me in 6 days with track and sign. I mentioned this to the live support on your site, that there is no option for track and sign and never heard back. I will take a look at track and sign. It was causing us some issues. If I can reinstate it I will. Do you ship a lot to Israel ? I know there are lots of snuff users here but most don't have internet connection. yes we ship to Israel. I just took a quick peak and we ship to various Israeli customers several times every week. Not a huge market, but certainly a market nonetheless. 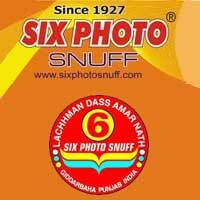 Does anyone know about 6 photo snuff there ? @sixphoto I've never seen anything here except for WoS and israeli snuff. So which are the major brands and manufacturers of Israel ? I don't think there are any "major" brands, most are just someone making in their basement. That's quite nice to read actually like Jewish people slipping a few bucks to Christian neighbours to light their fires for them on the Sabbath: interesting! @matteob, not sure where you got that from but that is not permitted in jewish law. Ohhh I did not know that. It was a common practice though in London back in the day I believe. I read it somewhere. I might have got my facts wrong though!